Many of you have a lot of coupons and have requested the ability to add a sub-navigation menu which would allow for additional filtering. This has been added to the WP Coupons plugin as of version 1.4.0. Follow the instructions below on how to enable and use the tag sub-navigation menu. You can then click into each of your coupons and add a tag to it, or multiple tags. 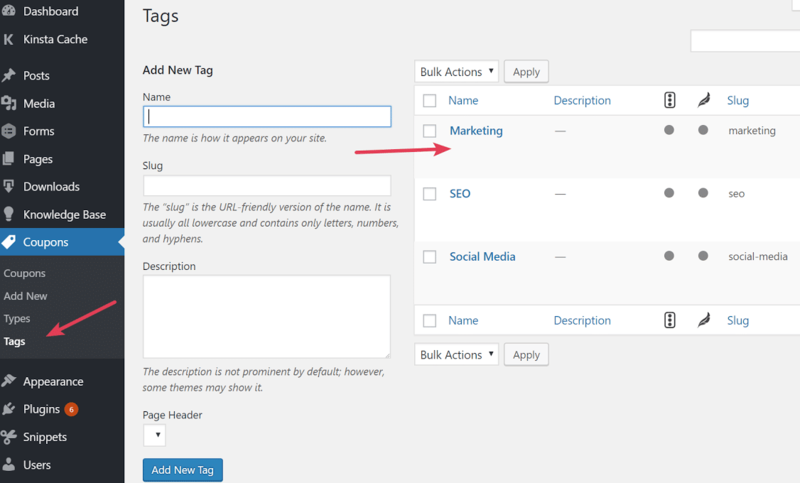 You can also browse or add tags from the “Tags” section in the WP Coupons plugin. This will then make a sub-navigation menu appear for plugins that have tags associated with them. 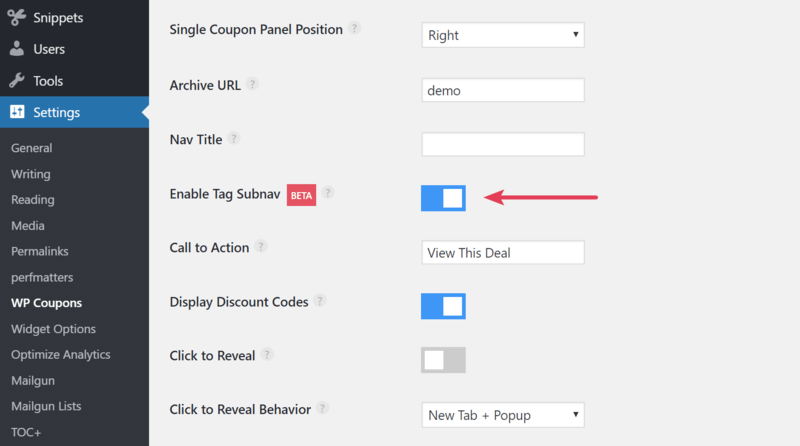 Visitors can then filter down further into your coupons based on the tags (See it in action).